As a professional grazer, I sometimes neglect the basics of good nutrition in favour of something quick and delicious. Don’t get me wrong, I eat well but I know I could always be doing a little better. Like many parents, I tend to fuss over my kid’s diet and forget to check in on my own. Gena, a certified nutritionist, simplifies all the hullabaloo and over-thinking that seems to go hand in hand with nutrition-speak. Power Plates makes eating well, attainable and utterly delicious. 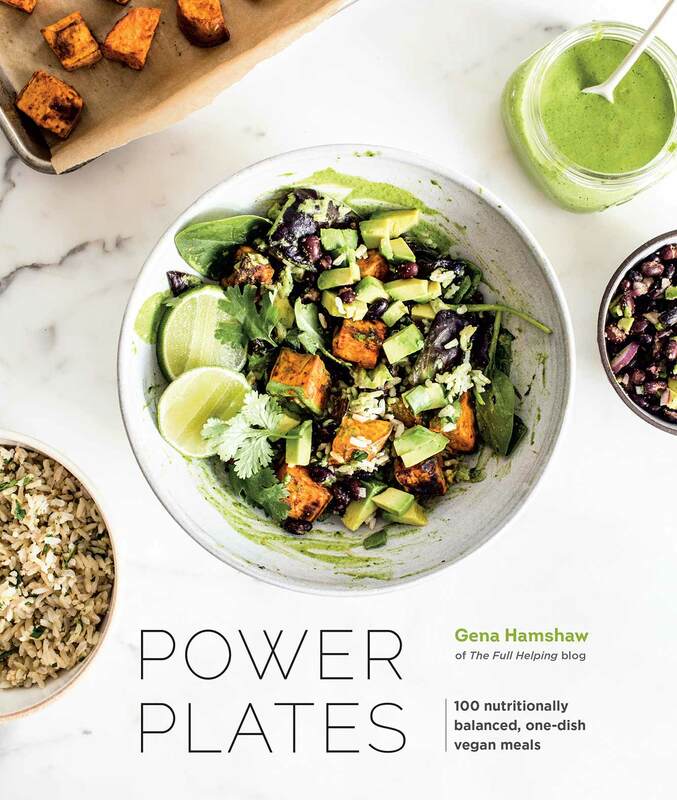 Complete with stunning photography by Ashley McLaughlin from Edible Perspective, Power Plates has been a welcome addition to my cookbook collection. 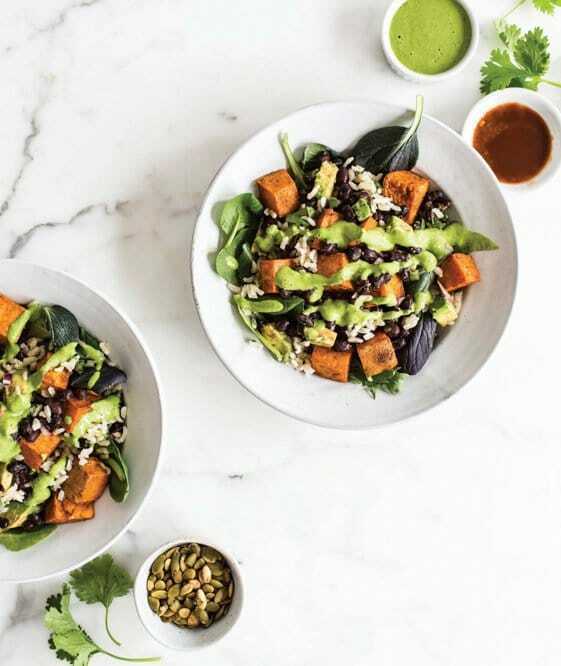 With thanks and bear-hugs to Ten Speed Press and Gena, I am sharing her recipe for Sweet Potato Salad with Tempeh and Mustard Dressing below. I could literally dive in to that dressing. It’s one of the many one-dish inspirations from Power Plates. And I am giving my Australian readers a chance to win a copy! Reprinted with permission from Power Plates, copyright © 2018 by Gena Hamhaw. Published by Ten Speed Press, an imprint of PenguinRandom House LLC. The sweet, salty maple mustard dressing featured in this autumn salad is one of my all time favorites. It began as a vinaigrette, but one of my recipe testers tried it with tahini in place of the oil and couldn’tstop raving about the results. When I tried her version, which is creamier and denser, I could see whyshe loved it so much. 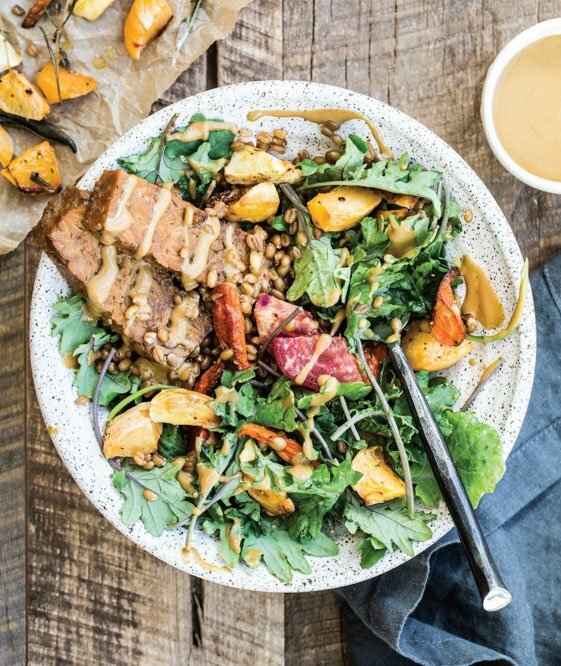 I use both versions often, and both are well suited to this salad of roasted sweetpotatoes, earthy tempeh, and peppery greens (Gena Hamshaw). To make the salad, put the tempeh in a shallow glass bowl or container, preferably one large enough tofit all of the tempeh in a single layer. In a small bowl or measuring cup,whisk together the tamari, vinegar, maple syrup, and paprika. Pour the mixture over the tempeh and stir gently to evenly coat the cubes. Cover and refrigerate for at least 1 hour and up to 12 hours. Preheat the oven to 400°F (200°C) and line two rimmed baking sheets with parchment paper. In a large bowl, toss the sweet potatoes with the oil until evenly coated. Transfer to one of the lined baking sheetsand sprinkle generously with salt and pepper. Bake for 30 to 35 minutes, until fork tender and starting to brown. Meanwhile, drain the tempeh and spread it on the other lined baking sheet. Bake for 15 minutes, untilthe tempeh is beginning to brown. 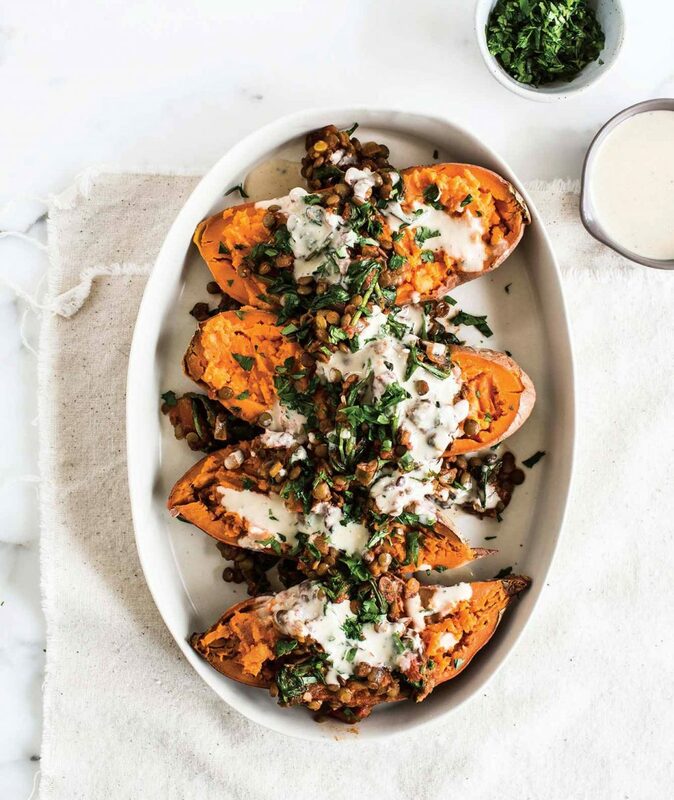 Transfer the sweet potatoes and tempeh to a large bowl and let cool for about 10 minutes. Add the arugula. 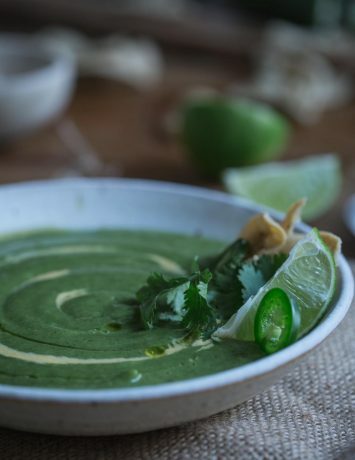 To make the dressing, combine the oil, maple syrup, mustard, tamari, apple cider vinegar, balsamic vinegar, and nutritional yeast in a small bowl or measuring cup. Whisk to combine. If the dressing is thicker than you’d like, whisk in the warm water as needed. (Stored in an airtight container in therefrigerator, the dressing will keep for 1 week.) Pour the dressing over the salad and toss gently to combine. Fold in any additional toppings and serve. This veggie looks Awesome, very healthy and yummy!!! Thanks for sharing these delicious combinations!! Congratualtions Fe M. You have won a copy go Gena Hamshaw’s Power Plates. The winner was drawn today. Enjoy! You’re a lucky man, Peter. Cheats version of beans chilli. Combine a tin of drained black beans, spicy organic salsa (from costco), cashew sour cream and LOTS of chopped coriander. Serve over rice. Quick and delicious! I love making versions of kitchari; but I adapt it every time depending on what I have in the house. 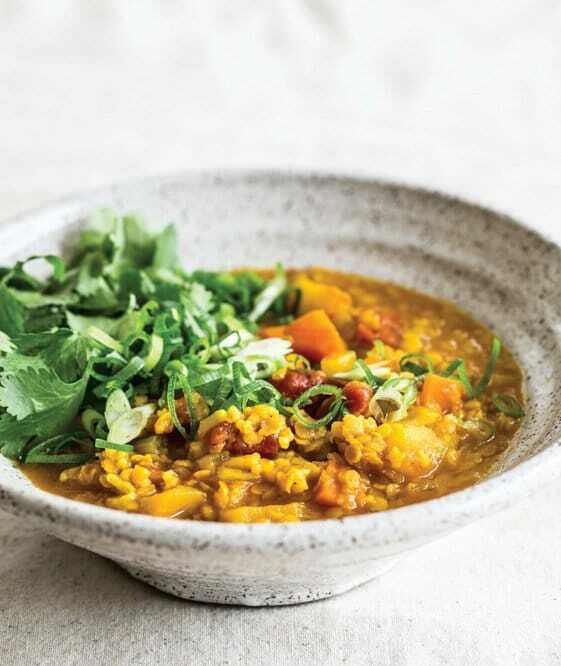 I have used all sorts of combinations of grains, lentils, and vegetables; and I also find it a great way to use up any vegetables that are on their last legs. It is simply fool-proof! A nice warm, chilli bowl! With potatoes and lots of black beans. The secret ingredient to make it sweet; pumpkin and of course corn! And to finish it off, a good dollop of coconut yogurt. mmmm…definitely my go-to recipe! And so easy! You guys are making me so hungry! I love these ideas. I love salad bowls. Quick, hearty, and works with whatever veggies I have on hand. My favorite is massaged kale, red onion, roasted sweet potato, quinoa, lentils, and some raw veggies or sprouts. 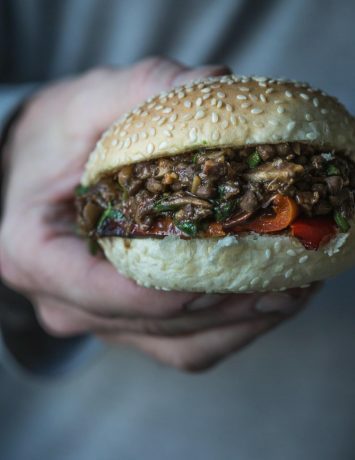 All tied nicely together with a garlicky tahini dressing. Getting hungry as I write this! I love a sushi bowl, with marinated tofu, julienned carrots, pickled red cabbage, podded edamame, cucumber slices, red capsicum slices, lots of avocado and warm sushi rice, topped off with shredded nori and sesame seeds. Yum! Definitely Vegan MAC and cheese! Yum!